Smart home tech is more than just a gimmick. 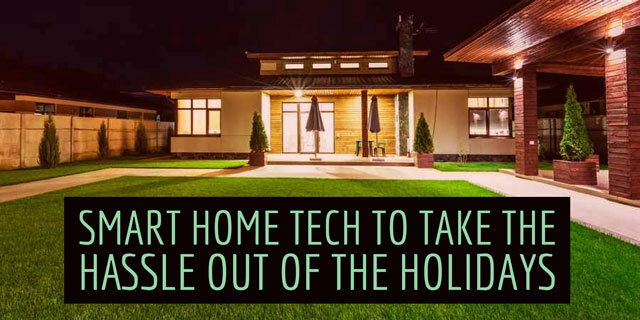 These high-tech helpers can make holiday travel a breeze by keeping your home safe and secure while you're away and offering convenience and savings when you're home. 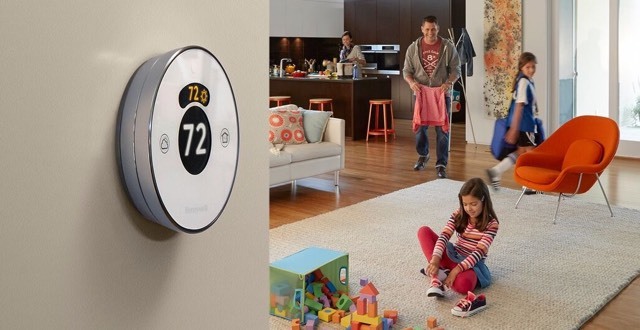 Whether you're at home or away, a smart thermostat like the Honeywell Lyric Round thermostat is a good investment. While you may not think a smart thermostat can offer any more savings than a standard programmable thermostat, the average savings are from $131 to $145 per year, depending on your energy use. A smart thermostat could pay for itself in two years and offer a lot of convenience to boot. 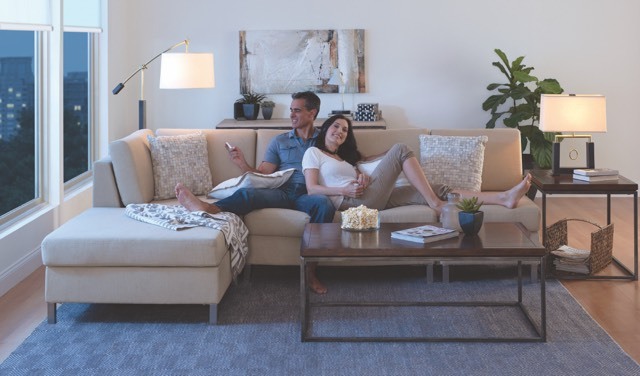 When you're home, the Lyric Round thermostat learns your schedule and preferences (though you can also program it like a traditional thermostat) to keep your home the perfect temperature. It senses the current temperature and humidity and adjusts your heating or cooling to make it feel like your preferred temperature, even if that's different from the actual temperature. The Lyric thermostat knows you've left home when your smartphone leaves a defined geofence and adjusts the temperature accordingly for energy savings. And because it's smart, this thermostat talks to your smartphone via the Lyric app. It integrates with Apple HomeKit (and Siri), Amazon Alexa, Samsung SmartThings and IFTTT to work with other smart home devices. Though a water leak is never good, it's worse when you're away from home and don't find out about it until days later, when the damage is already done. The Lyric leak detector lets you know when you have any kind of water situation. 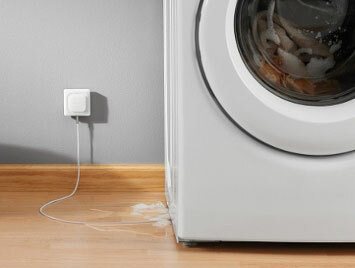 It detects water, extreme humidity and freezing temperatures via cable sensors, covering up to 500 feet. Like a standard leak detector, the Lyric sounds an audible alert when it detects water (or anything else), and it sends another alert to the Lyric app on your smartphone. If you aren't home, you'll know it's time to call the neighbor to check it out and hopefully solve the situation before it becomes a problem. Light has more impact on your daily routine than you might think. Blue light in the morning has been linked with higher levels of alertness. Philips Hue Lights aim to make your days better by controlling the light around you. Hue bulbs can produce every shade of white light to help you wake up, stay sharp during the day and get to sleep at night. Hue is meant to fit in with your daily routine. A "routines" feature wakes you up with light that mimics sunrise and gets you ready for bedtime by gradually dimming the lights. It helps families with young children with a nightlight setting that provides enough light to see by but minimizes blue light, which can upset children's sleep cycles. You can control everything with light switches just like a normal light, or use your smartphone to control the lights and pick colors. These may sound like minor conveniences, but they add up to notably better days — and waking up to the Hue's imitation sunrise can help you get up and get going. The Philips Hue White Ambiance Starter Kit includes two bulbs, a hub to connect and control them and a dimmer switch. In addition to talking to your smartphone via the app, Hue works with Apple HomeKit (and Siri), Amazon Alexa, Google Home, Nest, Samsung SmartThings, IFTTT and more, easily fitting into any smart home setup. You may not realize it, but the cost of lighting your home really adds up. Picking up energy-efficient lights and putting them on a schedule can help bring your costs down. Lutron's Caseta Wireless smart lighting system controls your home's lighting in a somewhat different way than Philips Hue. Instead of using special bulbs, Caseta controls your existing bulbs via smart switches and outlets. Caseta switches replace your existing light switches, and smart outlets plug into the wall where your lamps plug in to control smaller lighting fixtures. Once you've installed the kit, you can control your home lights via the Lutron app for iPhone or Android as well as with the Pico remote. The system works with Apple HomeKit and Amazon Alexa for easy voice control using Siri or Alexa. It's also compatible with Sonos speakers, Serena blinds, smart thermostats and more, so you can coordinate all your smart home tech. While you're home, you save money, and while you're away, seeing the lights go on and off could convince potential burglars to stay away. It's a win/win investment. Around 46.9 million Americans will journey 50 miles or more from home during the Thanksgiving period. How will you keep your home safe when you're gone for the holidays? 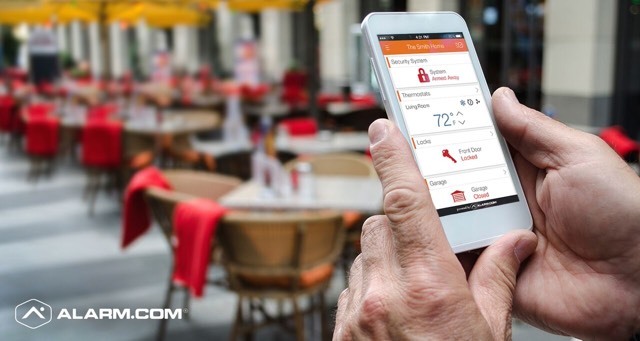 Plenty of security companies and systems are vying for your business, but we like Alarm.com's integrated smart home security system. The system can include image sensors and video monitoring, smoke and carbon monoxide detection, access control for tracking who comes and goes (and letting contractors or house guests in when you aren't home), a smart thermostat for energy management, and even emergency response pendants for seniors who may need assistance. This is a complete smart home package you can access from a single, simple interface on your mobile device. Many smart home technologies are simplistic, providing alerts but relying on you to do something about them. Alarm.com systems use professional monitoring to ensure your house is kept safe no matter where you are.